VIEW! VIEW! VIEW Custom Single-Story Ranch Style Home. Room to Stretch Out. Sits on 3.4 Acres and offers an open Floor Plan. It Boasts 1,612 Sq. Ft. Freshly painted inside and out. Beautiful wood/tile flooring, Three Large Bedrooms/Two Full Bathrooms, Fireplace and a Two Car Garage. Large Usable Lot. You can bring your horses (2 Covered Corrals), enough space for all kinds of toys. This home is perfect for entertaining. Open Riding Trails. Don't Miss this Opportunity to own your home in the Country. Bring Your Animals or start your own garden. Too many possibilities. Beautiful 4 bedroom, 2 bath single story home. Nice tile flooring throughout. Large eating area. Large Master bedroom with spacious closet. Inside laundry room. Spacious yard with fruit trees. Detached garage with long driveway for extra parking. Nice Starter Home, Great opportunity For First Time Buyers, Ceramic tile Floors in Kitchen and bathrooms Convenient Location, Good Freeway Acces. Great opportunity to own 3 residences on a lot!!! Main home is approximately 1700 Square feet and has 3 bedrooms and 2 bathrooms. The second home is in the rear and is approximately 800 square feet with 2 bedrooms and 1 Bathroom. The apartment is accessed from the front of the lot, adjacent to the main home, and is approximately 700 square feet. The main home has been updated and includes solar, wood laminate flooring, stainless steel appliances, new vanities with granite in both bathrooms, mirrored wardrobes, pantry and an oversized 7ft. by 4 ft. dual head shower in the master. There is an indoor laundry room. The yard is perfect for entertaining with a fully covered patio, fire pit, and wood deck surrounding a lowered above ground pool. The main home has it's own 3 car garage with a workshop and indoor storage. It is also equipped with an oversized wood shed. The home sits on a 1/2 acre lot with an upgraded wood electric security gate. The second home is detached and has it's own kitchen, a fenced private yard and private driveway. The second home is on it's own electric meter. The apartment is updated with fresh paint, wood laminate flooring and newer bathroom vanity, sink and faucets. It has a kitchen and family room and it's own entrance off of the front of the home. These residences are ideally located near schools, shopping and freeway. This is priced to sell and won't last long!!! $10K PRICE DROP - STANDARD SALE! Beautiful 3 Bedroom 2 Bath Home In A Great Area! The Home Is In Move-In Condition With Tile Flooring Throughout, Kitchen Island, And Tile Bathroom Showers! This Corner Lot Home Is On A Quiet Street But Close To Downey, The 105, and 605 Freeways! Also Close To The 91 Fwy And Great Shopping Within A Short Driving Distance. Take Advantage Of This Great Deal - It Will Not Last Long! Great opportunity to buy in Pico Rivera in the low $400's! This one won't last. PRICE REDUCED!!! 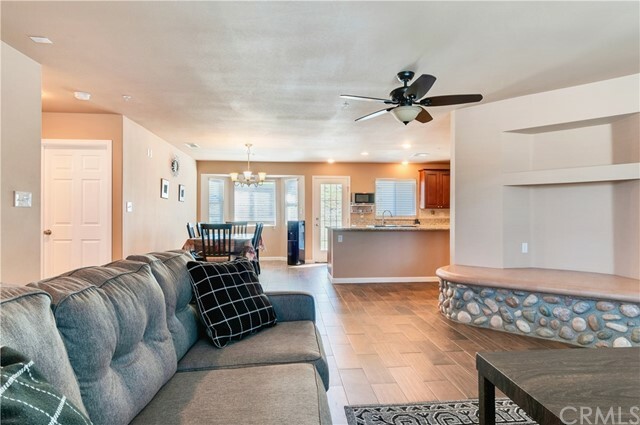 This IMMACULATE 2-Story Home Has Been COMPLETELY REFINISHED And Seller Spared No Expense When He REFINISHED THE POOL And Installed A Built-In Water Slide With A Water Fountain! You Will Spend Hours ENTERTAINING In The Backyard, Swimming In The Pool, Playing On The Built-In Water Slide, And Bar-B-Qing Under The HUGE Patio Cover With Fans And Built-In LED Lighting! This Gorgeous Home Has Laminate Flooring Throughout, Premium Carpeting, Open Kitchen With CUSTOM REAL WOOD CABINETS, Tile Backsplash, Granite Counters, Thermador Range, Built-in Kitchen-Aid Microwave and Oven, And A Pantry! New Copper Plumbing Throughout! Electrical Wiring Was Redone And Lighting Was Upgraded to LED Throughout! Most Windows Replaced To Energy-Efficient Dual Pane Windows! WOOD Plantation Shutters Throughout! And THEN THERE'S THE BATHROOMS! Tile Flooring And Tile Backsplash In Shower/Bathtub Areas, Upgraded Water and Light Fixtures, New Vanities and Mirrors, Master Bathroom Has An Upgraded Jacuzzi Tub. Upstairs Bathroom Is GORGEOUS And Has A HUGE Shower Area And Frameless Shower Doors! This Home Is Blocks Away From Corona, La Sierra University, Lakepoint Hills, And The 2-Year New Hillcrest High School! Best Priced 3 Bedroom Home Close To The West Covina Mall! Long Curved Driveway Allows Easy Access And Lots Of Parking, Not To Mention The Carport On The Side Of The Home Leading To The Detached 2-Car Garage! Living Room Has Original Hardwood Flooring As Well As 2 Of The Bedrooms And The Dining Area. 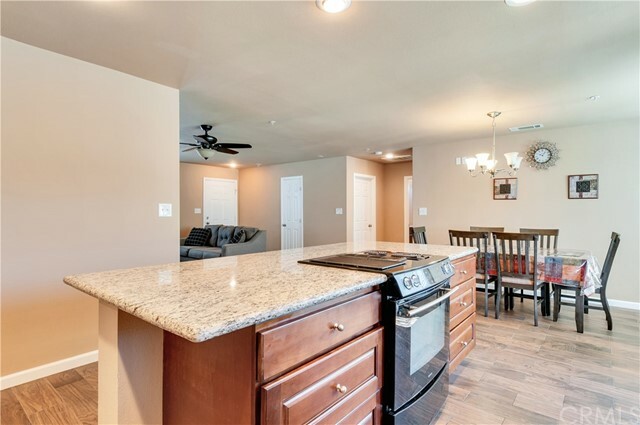 The Spacious Kitchen Has Tile Flooring And A Great Layout Next To The Dining Area And Family Room. The Family Room Is Spacious And Has Washer/Dryer Hookups Perfect For Stackables. The Last Bedroom Has Carpet And Is Currently Used As A Den/Office Space. Living Room Has Recessed Lights, And Owners Did Many Other Upgrades! Backyard Has A Lot Of Concrete And Block Wall Upgrades As Well. This One Won't Last! Great location in Ontario. Value is in the Lot Size, over 18000 square feet. Circular driveway in the front with two driveways on either side of the property going all the way to the back. Perfect for someone needing a lot of space or land! Come check out this Large home on large lot with lots of possibilities. This custom home in the desirable Morro Estates has been owned by one family since built in 1979. This home has been modified to serve as a home of a person which was wheelchair bound and has large door ways, an elevator and a elevated tub with ceiling hoist attached. The home has a large lot with covered patio and separate slab in back for entertaining and still has plenty of yard for gardens or even a pool. The house sits on top of an incline with extra large driveway with 2 car garage and shed. Many updates have been completed in parts of the home with laminate (2 years), vinyl, carpet and some wood, new double pane windows through out (2 years), new furnace(1.5 years), . There is a large formal living room and dining room, with an open floor plan kitchen, dining area and family room open to each other. There are two bedrooms downstairs and an inside laundry. The home was modified to have five bedrooms, two bedrooms downstairs, 3 bedrooms and 2 bathrooms upstairs,plus a nursery off master bedroom. The front of the home has a welcoming white picket fence and porch. This home still has room for your updates and is priced to sell. Home is being sold as is. Some ceiling fans for cooling. In Santa Maria Union High School District. Close to medical facilities, parks, restaurants and services. Beautiful 4-Bedroom Corner Lot Home In Beautiful Neighborhood! This Home Has Beautiful Natural Pecan Hardwood Floors, Tile Kitchen, And An Open Layout Perfect For Entertaining Guests! Newer Beveled-Look Dual-Pane Windows With Natural Hardwood Plantation Shutters Throughout! 3.5 Ton A/C Unit Will Keep You Home Cool In The Hot Summer Months! 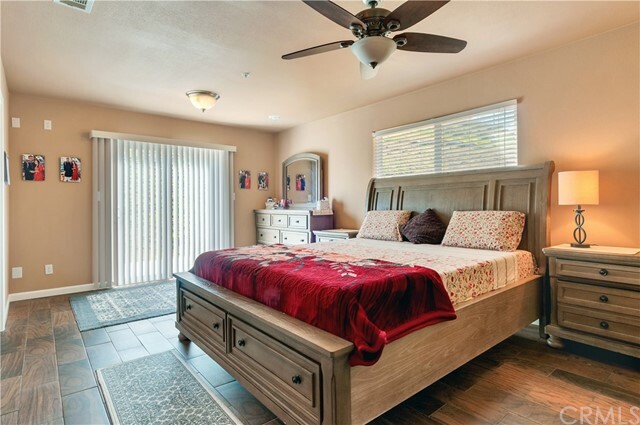 Carpeted Bedrooms Are A Good Size And The Master Is Comfortable With Its Own 3/4 Bathroom! Owner Just Installed A Vinyl Fence On One Side Of The Property That Will Last A Long Time! Patio Cover In The Back Provides Shade And Comfort To Entertain In The Hot Summer Months. Spacious Backyard Great For Those Who Enjoy Gardening Or An Area For Children To Play In. Close To Shopping, Freeways, Parks, Golf Courses, And Award-Winning Schools! Don't Miss This Amazing Home! Lovely one story corner lot home located in the heart of Moreno Valley. This property is located in a very quiet, clean, and beautiful neighborhood. Its floor plan offers plenty of space and comfort for every member of the family. Featuring 4 good-sized bedrooms, including an extra large master suite with its spacious private bathroom, and a huge walk-in closet. This high ceiling home also features a large living room with a cozy fireplace opened to a big kitchen with an island, formal dining room, separate laundry room with plenty of cabinets, and a three car attached garage. This beauty exudes comfort and tranquility. A must see! It won't last! Welcome to the Stetson Community in Beaumont with NO HOA located on cul de sac. (Please note that the County Assessor shows 4 bedrooms, but this is a 5 bedroom home, 5th bedroom contains a closet). As you enter, you are greeted by a spacious living room, as you travel thru the living room, there is an open concept family room and kitchen. The kitchen has ample cabinetry, granite countertops, a large kitchen island, stainless steel appliances, and a new garbage disposal. The kitchen has an open view to the family room, so the kids can do their homework in the family room while you are cooking dinner or they can sit and enjoy a snack at the kitchen island and you will not lose site of them! Family room contains a fireplace and views out the back yard. Downstairs also has a bedroom, full bath and laundry room (seller will leave washer/dryer for new buyers). Upstairs is a large master bedroom, en-suite w/separate tub/shower and a large walk in closet. Upstairs there is another oversized bedroom, hall bath and 2 more bedrooms. Out back, there are gazebos and a firepit that remains for new owners for their entertainment. There is AMPLE RV PARKING & a tandem garage with direct access to the back yard. There are also dual air conditioners to cool/heat each floor which seller has indicated is a cost savings. Additionally, just around the corner is a community park in the Stetson Community w/walking paths & play equipment for the kids with beautiful views of the mountains. Welcome home! This is a spacious and comfortable 4 bed/3bth, 2007 sq ft home centrally located in the 2nd safest city in the US and close to award-winning schools, shopping, services and major transportation! 1 bedroom and full bath downstairs! Amenities include: marble tiled entry, laminate wood floors throughout downstairs and ceramic tile flooring in kitchens and bathrooms; soaring vaulted ceilings in the step down living room and formal dining area; enjoy this open kitchen w granite countertops, stainless steel sink/appliances and breakfast nook bathed in morning light from surrounding windows; the kitchen opens to the family room w a cozy fireplace and glass sliding doors that lead to the covered patio and landscaped, oversized rear yard; vaulted ceilings in the large master bedroom overlooking the rear yard; separate tub/shower in the master bath w dual sinks and walk-in closet! Ceiling fans throughout w 2" blinds on most windows & mini-blinds on the rest of the windows. 3 car garage perfect for multiple vehicles or for additional storage and/or workspace! This home is located on a quiet street & features an inviting, landscaped front yard. Enjoy summer afternoons in your shaded and private retreat in the back yard! Low taxes! See this home today! Custom built 1954. Sold "As-Is". New exterior & interior paint. Restored wood flooring. New carpeting and vinyl throughout. New kitchen appliances. Pool in working order but needs restoration. Two Car Detached Garage. Extra pasture area. Outbuilding. Circular driveway. **STANDARD SALE**Beautiful single story home located in north Rialto. Spacious 4 bedrooms 2 bath pool home, 15,600 square foot lot, tons of space to entertaining guests and enjoy the lovely summer days. Plenty of Parking space, quiet neighborhood, property is located at the end of cul-de-sac, easy access to the freeways, pride of ownership, must see!!!! Beautiful property in the city of Riverside!!! This property offers 3 bedrooms and 3 bathrooms, as well as 1,503 sqft of living space! This property has been renovated; new carpet, new flooring, new kitchen, & freshly painted. It also has a beautiful, low maintenance, backyard for family gatherings! This home is definitely ready to move in. Don't miss out on this great opportunity! Former Model! This is the One! Beautiful Home in the Canyon Hills Community. Spacious Floor Plan (1,911 sq.ft.). This home Boasts Three Bedrooms, plus an Office/Toy Room or 4th Bedroom. Some White Shutters and Wood Blinds covering throughout the home. Built in Home Speaker System. Open Upgraded Kitchen with White Cabinets, Stainless Steel Appliances, New Sink Faucet, Granite Counter Tops and Slate Backsplash. House Fan for natural air flow, Slate Tile Downstairs, Berber Carpet, Travertine Flooring in Both Bathrooms upstairs. The Office/Toy Room Downstairs have built in shelving. Laundry Room located upstairs. Two Car Garage with Epoxy Flooring, Cabinets and a Rafter for more storage. Low Maintenance Backyard, Dog Run and a Great View of the Mountains. Some of the Canyon Hills Community amenities include 3 Pools, 1 Kiddy Pool, Tot Lot area, 2 Parks, Walking Trails, Basketball and Tennis Courts. Conveniently located near Shopping, Schools, Restaurants and Easy Access to Fwys. Don't miss this opportunity! STANDARD SALE - Ready to Show! Come See This AMAZING POOL Home Located Close to Shopping, Freeway, Vineyard Park, and Schools! Interior Has Many Upgrades And Is In Move-In Ready Condition! 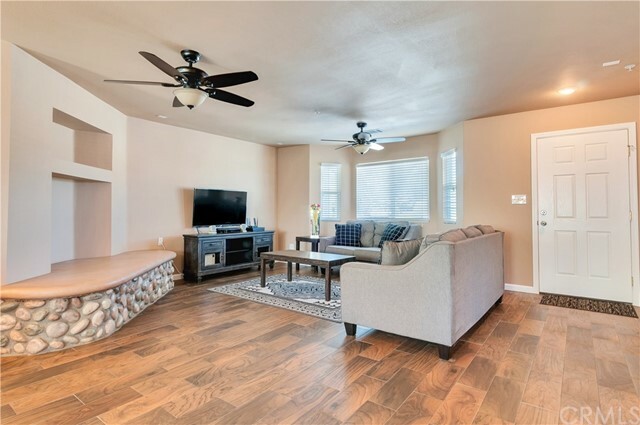 Tile Flooring Throughout, Open Layout Makes This Home Feel Spacious. Kitchen Has Beautiful Lighting Features, And Main Bathroom Is Fully UPGRADED! French Doors Lead To The Large Backyard And Gorgeous Pool With Enough Space For Entertainment! This One Won't Last! BRAND NEW MODERN DESIGNED MANUFACTURED HOME with a beautiful view of the hills and mountains. 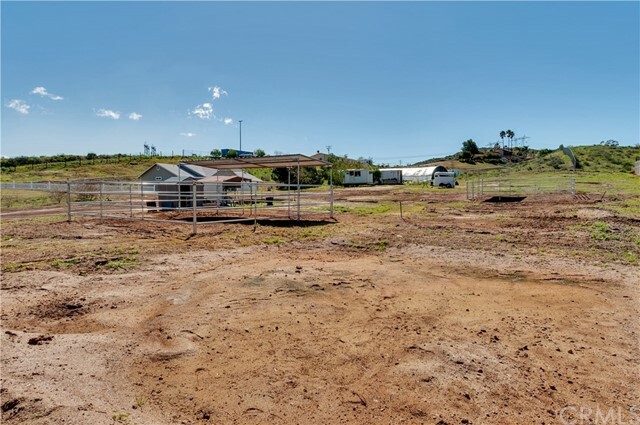 Over an acre of land with lots of room for kids to play, toys to store and ride around, and keep horses or other animals. The house is 1,980 square feet with high ceilings, a master suite with hot tub and walk in closet, and 3 more bedrooms and a full bath on the opposite side of the house. Lots of living space with fantastic eat-in-kitchen, large living room, family room, and separate laundry room! Come see it, you’ll love it!! Turn key, ready for a family to move in and enjoy everything new in this home. Location, Location, Location! Great 3 Bedroom 1 Bath Home In East Los Angeles Bordering Montebello. This Is A Great Old Style Home That Has Limitless Potential For Your Family's Needs. You Will Be Minutes Away From Downtown Los Angeles And Very Close To 3 Major Freeways To Get Around Town. Your Children Will Also Be Part Of The Montebello Unified School District! Come See This Diamond In The Rough While It Is Still Available! Nice two story home located north of the freeway near all amenities and close to freeway access. Home sits on great family Cul-de-sac. Large back yard. Plenty of driveway with possible RV access or boat parking. NO HOA!! JUSTE FELL OUT OF ESCROW - DON'T MISS IT! TURNKEY 2-Story Home In The Moreno Valley Rancho Association! This Pristine Home In One Of Moreno Valley's More Coveted Neighborhoods! 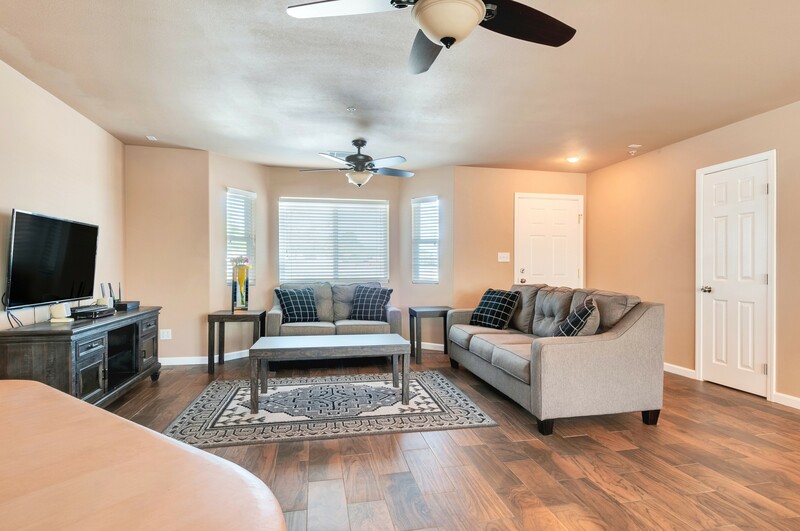 This Home Boasts Laminate Flooring Throughout the Main Floor, Immaculately Painted and Designed Walls! Home Has A Living Room, Family Room, And A Loft That Provides Plenty of Entertainment and Lounging Space! Open Kitchen Design With LARGE Island, Granite Counters, Stainless Steel Dishwasher and Stove. 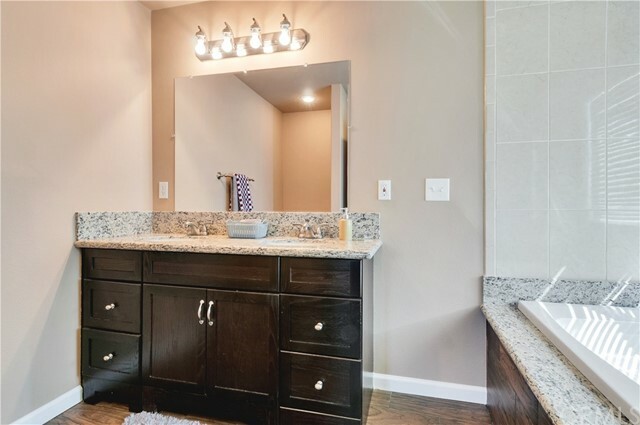 Nicely Upgraded Downstairs Bathroom With European-Style Faucet And Nice Upgrades Throughout! Tax Records Show 4 Bedrooms - 4th Bedroom Downstairs Has Been Converted Into A Formal Dining Space And Could Be Converted Back Into A Bedroom. Upstairs You Will Find An Open Loft, Plush Carpeting Throughout, And An Upgraded Master Bathroom As Well As Hall Bath! Backyard Is Neatly Landscaped - Patio Cover Throughout the Length Of The Home Perfect For Entertainment! DON'T MISS IT - HOME WILL SELL FAST! Absolutely Stunning! This Gorgeous home is turn key and ready for move in. You'll love this amazing corner lot property as it is ideally nestled in a great community and close to schools. The curbside appeal is awesome and there is a ton of space for parking. The low maintenance backyard is large with room for kids to play, parents to entertain, and a pool if you so desire. The inside of the home is equally beautiful with many upgrades and amenities such as; bright and open floorplan, tile flooring, brand new carpet throughout the home, large upgraded kitchen with recessed lights, granite counter tops, huge walk-in pantry, stainless steel appliances, crown molding, large bedrooms with views, a balcony and so much more. Words and pictures can never convey what this home has to offer, come and see for yourself! Just Sold!! Sunnymead Ranch Community. This home Boasts 1,472 Sq. Ft. On the main level you have a Large Living Room with High Ceilings and Cozy Fireplace, formal Dining Room, Open Kitchen, and a Bonus/Office or maybe a Guest Bedroom with Slider Door Access to the Backyard and also connected to the Main Floor Half Bathroom for Convenience. Upstairs are all the Bedrooms (3), and Two Full Bathrooms. New Windows and Sliding Doors Throughout the House. Large Backyard with Concrete Slab and Covered Patio. This is a Large Size Yard, with Great Possibilities. New AC Unit. Two Car Garage with some Cabinets. Possible RV Space. HOA with Many Amenities, Pool, BBQ, Picnic Area, Playground, Gym, Clubhouse, Tennis Courts, Dues are pay monthly. Don't Miss. In Housing, SIZE MATTERS! Come See This 2800+ sf Diamond In The Rough! This Beautiful Property Is Waiting For You To Add Your Finishing Touches And Make It Your Home! Built In 2006 - This Is Great Value For The Money! Comfortable Floor Plan With A Living Room, Formal Dining Room, Kitchen With An Island, A Family Room With A Fireplace, As Well As A Bedroom Downstairs! Upstairs You Will Find A Study Area As Well As A Den, and 3 Bedrooms Including a Spacious Master Bedroom With a Walk-in Closet. Home Located In A Newer Tract Of Moreno Valley Where You Can Experience A Quiet Family Oriented Neighborhood. Three Car Garage. Spacious Backyard Suitable For A Pool And Plenty of Room To Make Your Dream Backyard! Home Needs Paint And Carpet, But You Can't Find A Home This Size At This Price! Your Will Love This Home! ***Price Reduction*** Come and see this beautifully remodeled May Ranch home. It looks brand new! This tastefully designed home features a spacious open floorplan with high ceilings, 4 bedrooms, 2 1/2 bathrooms, and a 2-car garage. No HOA and low property taxes make his home a bargain. Enjoy entertaining friends and family with a breakfast bar off the kitchen which leads to the dining area and adjoining living room. Includes all new quartz countertops in kitchen and bathrooms, stainless steel appliances, new laminate flooring throughout (no carpet), new tile in the bathrooms, new paint, modern light fixtures, new hardware, recessed lights, new plumbing fixtures, central air conditioning, large master bedroom with in suite bathroom, and much more. Beautiful home located in a desirable area of Perris. Home has new exterior paint, interior paint, upgraded bathrooms, new kitchen appliances and much more. 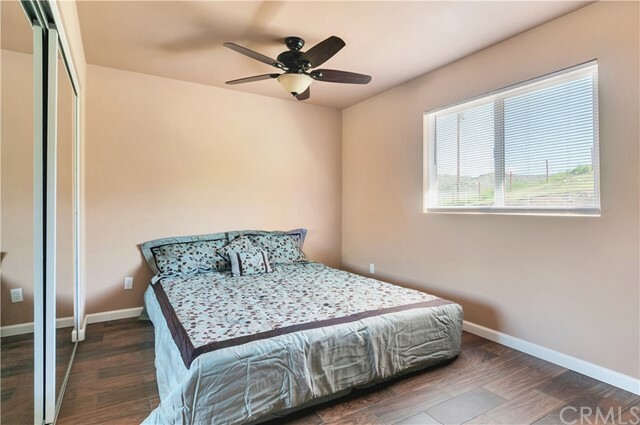 This home is priced to sell and located within minutes of elementary school, parks, shopping centers, Lake Perris fairgrounds and 215 freeway. This is a must see! Beautiful house in Perris. Huge lot, (over 1 acre). Cross street: Clark in Mead Valley. Close to everything: Freeway, church, schools, a great community. Three bedrooms, two full bathrooms in a 1900 sqft house on 50094 sqft of flat land. Fruit trees, and all the room for everything you need. House is in perfect condition, Come to see it and show to your clients. They will love it. This is a nice cozy two story house within a master planned community. It has 4 bedrooms and 3 baths with one bedroom and one bathroom in downstairs. House has been recently renovated with new range, microwave, water heater, and new interior painting. It features vaulted ceiling living room, hard wood floor, large family room, and in house laundry space. Back yard with wood shaded patio, and adjacent to the middle school. Convenient location closes to schools, community college, and shopping areas. Low HOA fee with plenty of amenities which includes swimming pool, spa, clubhouse, park, lake, and more. Welcome to this charming family home with a great backyard and RV Parking. 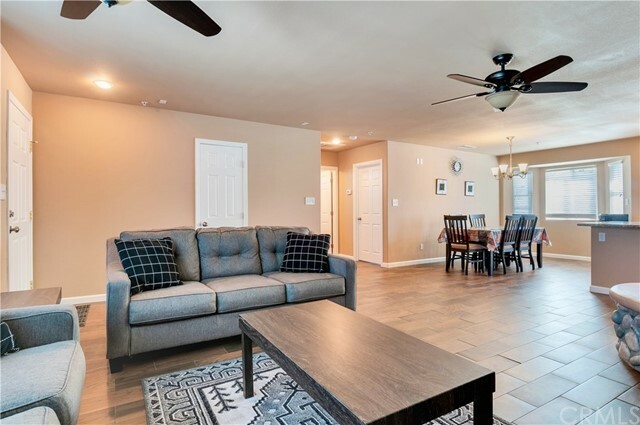 Stop looking because this home has everything you need, beginning with the updated kitchen with granite countertops, breakfast bar and a bay window looking toward the backyard, family room with fireplace and contrast walls, large separate living room and dining area. Home features an upstairs master bedroom with pitched ceilings, ceiling fan, attached bath with double sinks, walk-in closet and 2nd double door closet, two more upstairs bedrooms with mirrored closets, connected by a jack-and-jill bathroom with shower in tub, a 4th bedroom located downstairs, plus an additional 3rd bathroom downstairs with shower. The backyard is perfect for those summer gatherings with large grass area, covered patio, shaded tree and lots of concrete with the side gated RV Parking. Do not miss the opportunity to make this home your own. 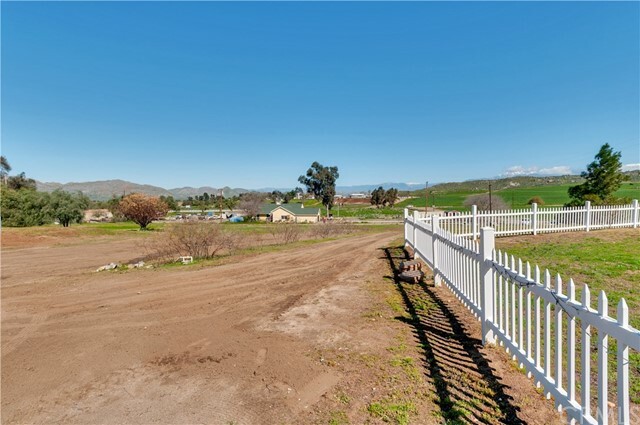 Located in Val Verde Unified School District, close to freeways and shopping. Schedule your showing today! FANTASTIC OPPORTUNITY as Buyer could not perform with financing. Rare spacious 3 Bedroom Condominium in this area! Enter into beautiful high wood beamed vaulted ceiling living room with adjacent dining area for nice size seating. Gated complex with a community providing a resort style living experience, ~ has built in BBQ, expansive Pool area, spa surrounded by trees, lush plants and sprawling grounds,~Close proximity to Laundry Facility, ~ Low Homeowner Association dues, ~ Park located adjacent and close to transportation (Orange Line Metro), 118 freeway, schools, shopping mall. ~ The complex is NOT FHA approved. Great for INVESTMENT! ONE OF THE CLEANEST HOMES EVER! THIS 3 BEDROOM PLUS OFFICE TURNKEY UPGRADED MORENO VALLEY RANCH SINGLE STORY IS READY TO MOVE IN! LOCATED ON A QUIET CUL-DE-SAC, IT SHOWS LIKE A MODEL. CHARMING CURB APPEAL WITH STACKSTONE TRIM AND PAVERS, THE ORIGINAL OWNERS HAVE TAKEN METICULOUS CARE INSIDE AND OUT. NEW WINDOWS AND DOORS, NEW NEUTRAL TILE AND CARPET, BATHROOM FIXTURES, RECESSED LIGHTING, INTERIOR PAINT, WATER HEATER AND MORE. WONDERFUL OPEN FLOOR PLAN HAS THE OFFICE ON THE OPPOSITE END FROM THE BEDROOMS. IMMACULATE KITCHEN WITH MAPLE CABINETS, NEW TILE FLOORING, STAINLESS APPLIANCES AND GAS STOVE. FAMILY ROOM WITH COZY FIREPLACE OVERLOOKS THE MANICURED BACKYARD THAT BOASTS A LARGE ALUMAWOOD COVERED PATIO, PLENTY OF ROOM FOR GARDENS, A FUTURE POOL, FRUIT TREES, A BUILT IN COLOR GLASS FIREPIT, AND A SHED THAT STAYS FOR THE NEW OWNERS. EXTRA PARKING ON SIDE OF 2 CAR GARAGE. INCREDIBLY LOCATED NEAR A FAMILY PARK, SCHOOLS, SHOPPING, HOSPITALS, LAKE PERRIS. ENJOY THE ASSOCIATION AMENITIES SUCH AS COMMUNITY POOL, SPA, GYM, CLUBHOUSE, TENNIS, PRIVATE LAKE, PADDLE BOATS,BBQ AND PICNIC AREAS. HONEY STOP THE CAR!!! Check out this 4 bedroom 2 1/2 bath Colton beauty! Located in one of the most sought after areas, this home has been lovingly maintained and is ready for you! With an attached 2 car garage, you'll have plenty of room for your family's toys! Some of the homes features include, but are not limited to, a formal living and dining room, master bedroom with an attached master bath, central heat and air, kitchen with lots of storage, and much more! Centrally located to all nearby freeways and Metrolink access, commuting will be a breeze! Don't let this opportunity pass you up, STOP BUY! Come in to through double front doors into a nice tiled living room with a cozy tiled Fireplace. Open Kitchen and dinning area with Granite counter tops lots of cabinet storage space, with master bedroom and master bath. 3 spacious bedrooms. Good size back yard for Entertainment. close to shopping centers and freeways. Perfect place to call Home!! Live In One Unit And Rent The Other! Great Property For A Buyer Looking For A Comfortable 2 Bedroom Property! One Unit Needs Carpet And Paint And The Other Unit Is Upgraded And In Good Condition! This One Won't LAST! BEAUTIFUL WELL MAINTAINED SINGLE STORY HOME IN DESIRABLE AREA OF MORENO VALLEY JUST NORTH OF THE 60 FWY. PERFECT FOR FIRST TIME BUYERS. SPACIOUS CORNER LOT WITH PLENTY OF ROOM FOR PARKING. HIGH CEILINGS, LAMINATE AND TILE FLOORING THROUGH OUT. GREAT LOCATION NEAR SCHOOLS, GREAT SHOPPING, RESTAURANTS AND FREEWAY. LOW TAX RATE AND NO HOA. Don't miss out on your opportunity to own this cozy one story home in Moreno Valley. This home has 3 spacious bedrooms with a bonus room that can be great for an office space or game room. Laminate floors throughout the house and new carpet in every bedroom. New paint and brand new light fixtures throughout the whole house; inside and out! The master bedroom has a sliding door that opens to the back yard. Kitchen is fully remodeled with plenty of cabinet space. Family room complete with a fireplace and formal living room layout. Next to schools and shopping centers! The front yard was recently changed to a low-maintenance for easy care. Immense back yard with plenty of room to park an RV or even build a pool. Make plans to view this one before it's gone- you won't be disappointed! 3 bedroom, 2 bath homes with 1,239 square feet of living space. Kitchen features granite counter tops with tile backsplash. Huge master bedroom with sliding door to outside patio. Large living room with fireplace. Backyard has a covered patio. Home also features RV parking. Completely remodeled 1950's Cottage style 3 Bedroom, 1 Bath Home. All new carpeting and tile throughout. New paint inside and out. New appliances. New fencing gives privacy to a huge back yard. Room to build a large work shop with alley access. Seller will consider a landscape allowance for the front. Quiet area near schools and downtown. Great Opportunity for first time buyers, Great corner lot home with 10,800 SQ. FT. Lot. This home comes with nice large front yard and back yard, room to park your fishing boat. Home has two bedrooms and one bath. Don't miss out you must see to appreciate. Agents please see remarks for showing. Thank you. Traditional Home In Moreno Valley. Home Located In A Quaint Cul-de-sac, Close To Shopping Center And Quick Access To The 60 Freeway. This Home Has An Open Layout That Makes It Feel Larger Than It Is! The Living Room Is Open To The Dining Area And Kitchen With Access To The Backyard. 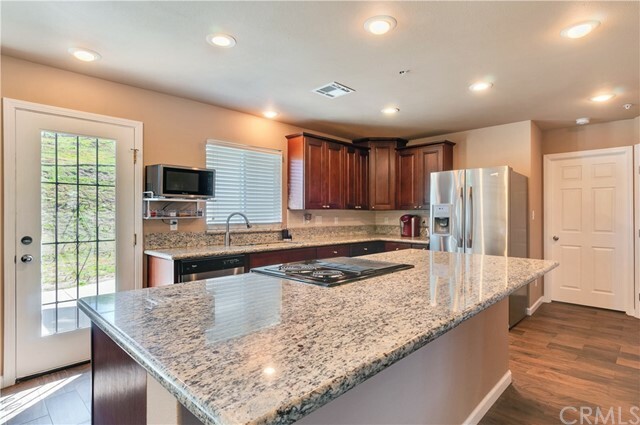 The Kitchen Is Newly Remodeled With Granite Countertops And Plenty Of Cabinet Space! Carpets Throughout Living Room and Bedrooms. Kitchen and Bathroom Linoleum Flooring. Great Home At A Great Price - Don't Delay! **WHY RENT WHEN YOU CAN OWN THIS ONE?!!!! **This Beautiful 1 sty on a cul-de-sac street with 3 beds/2 baths well maintained has rose bushes that line the sides of the property up to the front door. -- ABSOLUTELY BEAUTIFUL WHEN ALL ROSES ARE IN FULL BLOOM! !-- Generous living areas and bedrooms. Nice sized master bedroom and bath with dual sinks. Newly painted interior and Newer laminate flooring in living room, dining and hallways. New air unit and newer water heater. Dining area has French doors that leads you to a nice sized built in patio area and backyard. Automatic sprinklers in both front and back -RELAX HERE- GREAT FOR LAZY SUMMER EVENINGS. A great 1st time buyer home or a rental. Come make this yours before its too late. A nice place to call home and way under $300,000! This one is clean and ready to move in. Well maintained properties on this cul-de-sac and shows beautifully! Close to schools, shopping, fwys and more. . . . Property sold in AS IS in its present condition in all respects. This one will not last. Highly Desirable 4 Bedroom / 2 Bathroom Recently Renovated Single Story Home with Plenty of Upgrades. Interior Features Include NEW Paint, NEW Carpet, NEW Laminate Wood Flooring, Newly Painted Cabinets, NEW Quartz Counters Throughout and NEW Stainless Steel Kitchen Appliances, Formal Living Room with Laminate Flooring, Fireplace and Vaulted Ceilings, Formal Dining Room, Kitchen with Laminate Wood Flooring, Quartz Counters, Recessed Lighting and Stainless Steel Kitchen Appliances, Family Room with Slider to Backyard and a Master Suite with Walk In Closet and Attached Master Bathroom with Laminate Wood Flooring and Dual Sinks with a Quartz Counter. 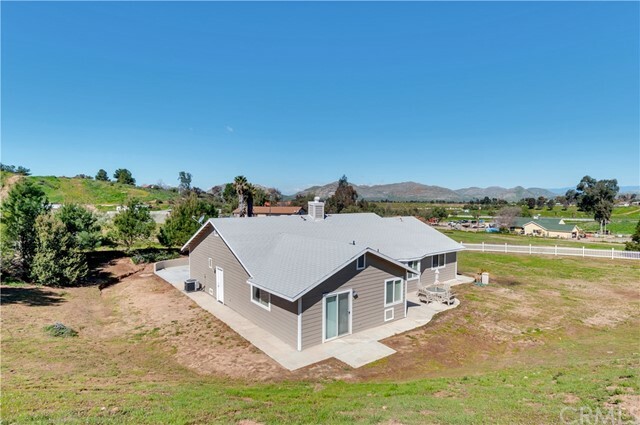 This Home also has an Attached 2 Car Garage with Laundry, Backyard Patio Area, Large Grassy Area of Yard, Storage Shed and Peek A Boo Mountain Views. Located in a Nice Neighborhood with Pride of Ownership and Conveniently Close to Area Parks, Recreation, Schools, Shopping and Much Much More ! BACK ON THE MARKET!! GREAT ONE STORY HOME LOCATED IN A CULDESAC FEATURING 3 BEDROOMS AND 2 FULL BATHROOMS. 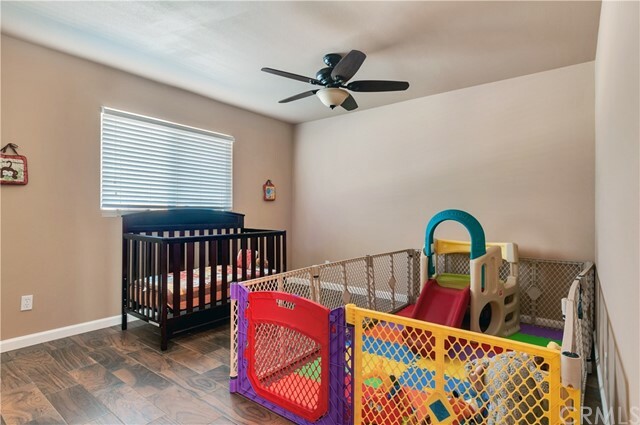 HOME HAS TONS OF UPGRADES.NEW WOOD FLOOR,NEW KITCHEN,NEW BATHROOMS, NEWER ROOF, FRESH PAINT INSIDE AND OUTSIDE, NEW GARAGE DOOR, HOME HAS BRICK FENCE ALL AROUND AND IRON GATE ON THE FRONT.CLOSE TO FREEWAY 215, SHOPPING AREAS,SCHOOL AND PARKS. STANDARD SALE! Run To This Beautiful 4-Bedroom, 2.5 Bath, 2-Story Home! Neighborhood Shows Pride Of Ownership, And Home Is In Great Condition! This Home Has Tile Flooring Throughout the First Floor And An Open Layout Perfect For Entertaining! The Kitchen Has Tile Counters, A Large Island That Opens To The Family Room With A Fireplace That Is Currently Being Used As The Dining Area. The 3-Car Garage Can Function Well As An Added Work Area Or Entertainment Space, And The Backyard Is Beautifully Landscaped And Has Great Potential For More! Upstairs Is Carpeted Throughout And Master Bedroom Is Large And Airy! Don't Miss This Home! Lowest priced home in Moreno Valley Ranch! Great layout with tile flooring throughout first floor! Living room, family room, and dining room area as well as a room that can be used as a bedroom downstairs and a full bath! Upstairs you'll find carpet throughout, a large master bedroom, and an additional 2 bedrooms and a hall bathroom. Home located on a quiet cul-de-sac! Needs some TLC. Spring Valley Lake Home in Victorville. Established Golf Course! Perfect Starter, Investment or Retirement Home. Charming Home with Three Bedrooms, 2 Bathrooms. Has new Inside Paint, New Carpet and Flooring. This Home Boasts 1,746 Sq. Ft. on a Large Lot of 9,500 SF. Fruit Trees in the backyard. Two Car Garage. Title Roof. Come and enjoy all the amenities this Community has to offer. Spring Valley Lake member amenities include a 200-acre water-ski lake with marina and fuel, a beach with swimming area, a community building, three parks, fourteen fishing areas, and an equestrian center. Located within the community is an award-winning Club Corps 18-hole golf course and country club. The community has a 24/7 Public Safety Department that provides professional security services, medical aid response, lake patrol and general assistance. Recreational Purpose Room, Meeting Room. Security in the community is further enhanced through the use of security cameras placed at all entrances. Low HOA, Low Tax Rate. Do not miss this opportunity. Call me for more details. Beautiful 2-Story, 3 Bedroom, 2.5 Bathroom, 2-Car Garage Home With Over 1500sqft Of Living Space At An Amazing Price! First Floor Has Tile Throughout, Half Bath, Great Open Floorplan And Easy Access To The Backyard. Enjoy The High Ceilings In The Living Room As Well As A Nice Fireplace For Those Cold Winter Nights! Bonus Room Downstairs Can Be Used As A Small Study Or Home Office. Upstairs You Will Find The Master Bedroom, Carpet Throughout, And 2 Full Bathrooms. Home Boasts a Spacious Backyard Perfect For Summer Bar-B-Ques And Play Area For The Kids! Hurry - Won't Last! Corner Lot! 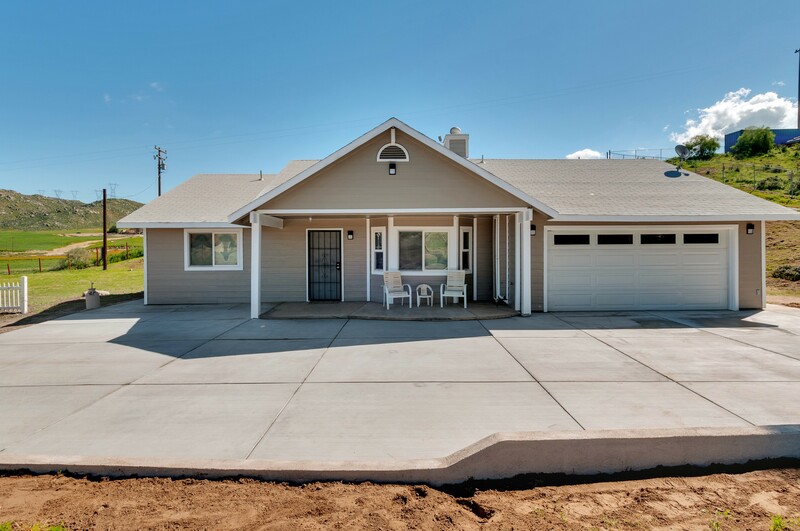 This 1-story home has an open layout, large backyard, RV access, and 2-car garage. Great price for this neighborhood! Tile flooring throughout! Don't miss the opportunity to buy north of the 60 freeway! 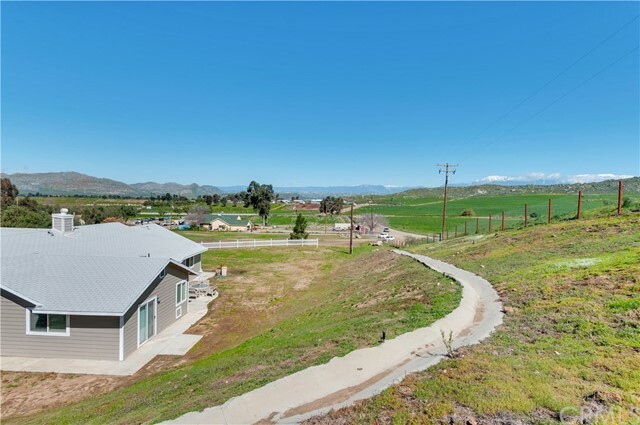 Best Priced Home In Moreno Valley With This Size Building And Lot - Don't Miss It! This Is The Perfect Starter Home With More Than Enough Room To Grow. Large Lot And Backyard That Is Zoned For An Additional Unit. Quiet Neighborhood Close To The Moreno Valley Mall And The 215 Freeway. This Is A First Time Home Buyers Dream! Home Has 2 Bedrooms With A Closet And An Additional Room That Has Been Used As A Bedroom And Can Be Used As A Playroom Or Office Space! WON'T LAST LONG! Stunning single story 3 bedroom 2 bathroom home located in San Jacinto. This 1582 square foot home was built in 1993 and sits on a large well landscaped 7841 square foot lot with 3 car garage. The walkway up to the front door is lined with several palm trees creating an incredible tropical feel and ambiance. The courtyard has even more palm trees with a brick patio and tri level fountain. The home has been highly upgraded throughout with ceramic tile and custom paint as well as high ceilings throughout most of the walkways. On the right at the entry is the third bedroom which has had the closet and entry doors removed to create an office area. To the left, the walkway leads to the garage as well as hallway bathroom and second bedroom. Straight ahead is the family room which is highlighted with a beautiful fireplace with floor to ceiling mantle. To the left of the family room is the kitchen which has a ton of cabinet and and counter space as well as a large eating nook. There is a formal dining room between the kitchen and the family room with sliding door access to the backyard. 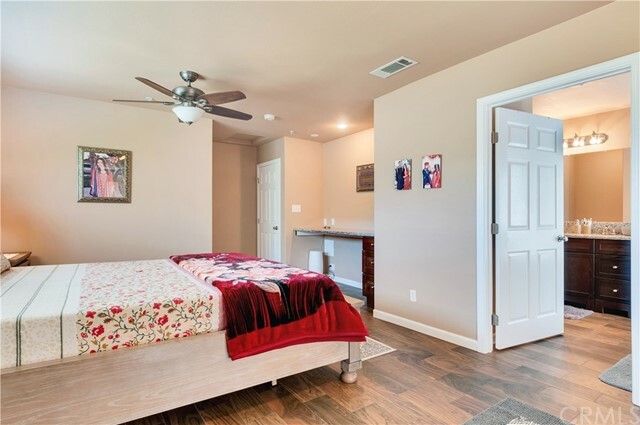 The master bedroom has very high ceiling with a master bathroom that includes a dual sink vanity, large walk in closet with built in shelves as well as soaking tub and separate shower. The backyard is stunning with a large covered patio with enormous side yard and storage shed. This home is conveniently located off Ramona Expy providing easy access to shopping, dining and more! A lot of potential in this home. 3 bed & 2 bath home with over 10,000 sqft. lot. Come see this home before it is gone. $5,000.00 CREDIT!! 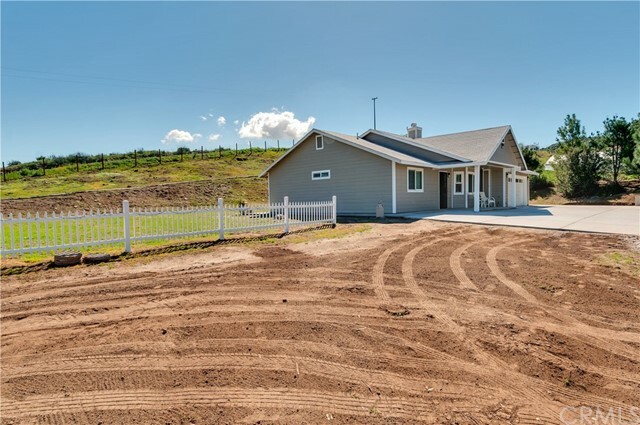 MOVE IN READY ON OVER 1/2 ACRE HORSE PROPERTY WITH GUEST OR ACCESSORY UNIT IN BACK!! This home has been remodeled inside n out. Front house: over 1,100 sq ft, 3 bed & 1 bath, new carpet & floors, copper re-piping, new water heater, Back unit has many options: guest or family members quarters, work area, office, game room, etc, you decide.... it's good to have options! Property is completely fence with R.V. access, bring your Horses & other farm animals! Commuter friendly with easy access to 15 freeway. Major shopping, schools & parks near by. Looking for: ALL OFFERS, FHA,VA,CASH or Conventional buyer, $5,000 credit towards heating or closing costs. We have septic & termite clearance. 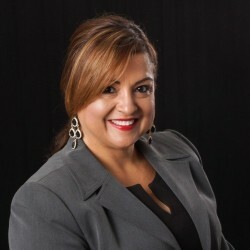 A REALTOR can provide you more information and a private viewing. Great home in a desirable neighborhood of Moreno Valley. 7 minutes to large shopping centers, 5 minutes to 60 freeway. This home features 3 bedrooms and 2 bathrooms with a good size yard. TRADITIONAL SALE - JUST REDUCED! This Spacious 4 Bedroom Home Has Tile Throughout. It Has A Master Suite, 2 Full Baths, And A 3 Car Attached Garage. Part Of The Garage Has Been Conditioned To Be An Entertainment Space That Can Comfortably Fit A Pool Table And Other Entertainment Devices! Washer/Dryer Hookups In The Garage. Kitchen Was Fully Upgraded Within The Past 3 Years. Nature Lovers Will Love The 12+ Fruit Trees That Include A Lemon, Orange, Peach, Avocado, Fig, And Apple Trees To Name A Few! Come See This Excellent Home! GORGEOUS, TURNKEY, MOVE-IN READY, POOL Home in Moreno Valley! Don't Miss This 3 Bedroom, 2.5 Bathroom, Fully-Upgraded Pool Home With All The Bells And Whistles! Beautiful Curb-Appeal Leads To The Living Room With High-Beam Ceilings, Laminate Flooring, Steel Stairway Railing, And A Gorgeous Fireplace Perfect For Nestling With The Family On Those Cold Holiday Evenings! The Floorplan Is Open And Airy, With Light Beaming Through Many Windows. Crown Molding Accentuates The Living Room and Dining Areas. Upgraded Light Fixtures Throughout Further Enhance This Home's Charm! The Kitchen Has Upgraded Cabinets, Granite Counters, Recessed Lights, And A Tile Backsplash. 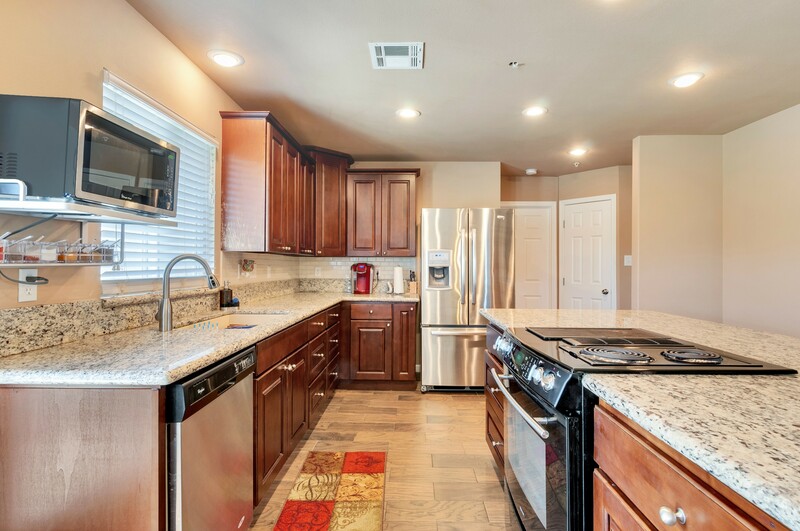 The Kitchen Is Located Next To The Laundry Room, As Well As A Half-Bathroom With Upgraded Vanity and Plumbing Fixtures, Laminate Flooring, And Backsplash. There's Laminate Flooring Throughout The Upstairs. 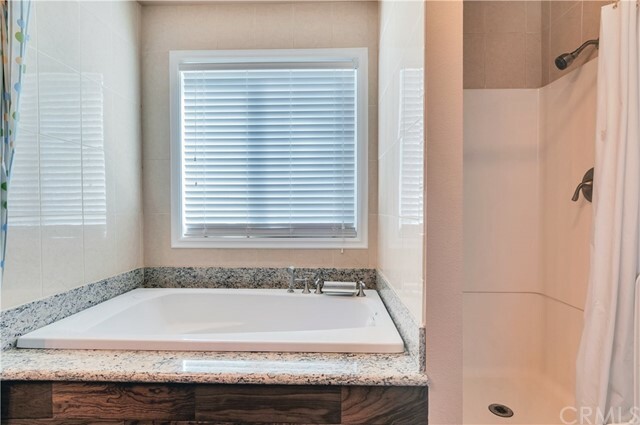 The Hall And Master Baths Have Upgraded Frameless Shower Doors, Bathtub With Tile Backsplash (Shower in Master), Upgraded Vanity With Backsplash And Upgraded Plumbing Fixture! The Spacious Master Bedroom Has Plenty of Closet Space And Windows With Peek-a-Boo Mountain Views. AND THEN THERE'S THE BACKYARD!!! Refinished Pool, Koi Pond, HARDSCAPED TO THE T! TOO MUCH TO LIST! WILL SELL FAST! Charming recently upgraded home in Moreno Valley. This home is 2 bedrooms with 1 bathroom. The recent upgrades include: new kitchen cabinets,new granite counter tops, newer appliances, new tile flooring throughout, newly painted interior and exterior just to begin! Additional upgrades include bathroom fixtures, kitchen fixtures, plumbing and electrical. This turn key home is great for a small family! All types of financing are available for this home. RECENTLY UPGRADED Home In A Great Price Range! This 3 Bedroom Home On A Large 7800 SqFt Lot Has 1 Bathroom And No Garage And Is Priced Accordingly! This Is A Better Option At This Price Than Any 2 Bedroom 1 Bathroom Home That Is Selling For The Same Or Higher Price! There's Tile Flooring Throughout, Many Electrical Upgrades Including Fan/Light Fixtures Throughout, Open Layout, And Comfortable Living! There's A Durable White Plastic Fence Throughout Back Yard. The Home Located On A Quiet Street With Many Long-Time Neighbors. Don't Miss This Home! Spectacular family home in the city of Perris. This 3 bedroom and 2 bath home will meet all your family's needs. This home has many upgrades in the kitchen and bathroom areas so you can just receive the keys and move-in ASAP. You are within walking distance of beautiful Paragon Park. Close to many shopping centers. You will also be right off the 215 fwy for your trips and commute. *This property is in foreclosure, but it is not short sale* Here is the home you`ve been looking for. This lovely home boasts 4 spacious bedrooms, 3 full bathrooms, + Den that can be converted into a 5th bedroom. The home has new paint inside and out, big backyard with a covered patio and RV Parking. Perfect for entertaining family and friends. Located in the Center of Hemet. Close to shopping,. The Hemet Valley Mall, Restaurants, golf club, and Schools. Are you a first time home buyer or looking for an affordable home? Don`t miss this rare opportunity, the home is priced to sell, and ready for you to put your personal touch and call it home. Text and schedule a showing today! REDUCED PRICE$$!! NEAR HOSPITAL, SHOPPING, CONVENIENTLY LOCATED OFF BEAR VALLEY ROAD FOR EASY COMMUTING PLUS BIG LOT SIZE FOR ANYTHING YOU CAN IMAGINE! BEAUTIFUL REMODEL! TURNKEY! NEW PAINT INSIDE AND OUT! NEW WOOD LAMINATE FLOORING! BEAUTIFUL NEUTRAL COLORS THROUGHOUT! KITCHEN WITH NEWLY PAINTED CABINETS AND STAINLESS STEEL APPLIANCES! FULL CENTRAL A/C AND RV PARKING AND FULLY FENCED FRONT AND BACK YARDS AND RECENTLY PUMPED SEPTIC WITH CERT! HURRY AND SEE THE BEST DEAL IN TOWN BEFORE IT'S GONE! 3 bed / 2 bath home in Perris. This is a good investment home that needs a little bit of work and upgrades. Perfect starter home in Moreno Valley. This 2 bed 1 bath home is conveniently located near fwy, restaurants and park. House is located in a cul-d-sac. The house was remodeled 2 years ago. Some of these upgrades that were done during the remodeling include granite counter tops in kitchen, carpet in living room and bedrooms and interior and exterior paint. Enjoy the spacious wall to wall closets in the master bedroom. Washer and dryer are located in the 2 gar Garage. Shed in rear for extra storage. There is cement along the back and the side of home for low maintenance. Great potential for this 3/2.5 bath home in Rancho Belago area of Moreno Valley! Doublewide Mobile home on its own land and fully fenced, lots of shade trees, open floor plan, kitchen has granite counters, tile flooring, large living room dining room. Master bath has tile and large soaking tub, granite counters, Double sinks. Regular Sale in Moreno Valley! Will sell quick! Delightful 2 Bedroom 2 Bathroom single story pool home featuring decorative rock landscaping, planters, and many trees throughout the large lot. Built in 1947, this well kept home is located in Desert Hot Springs with a full studio in rear next to the pool and includes the adjacent parcel of land, APN 641-021-031, for a total lot size of 13068 sf. Entering the home, you'll notice the Spanish tile floors, natural wood walls, wainscot, and wood beamed ceilings with ceiling fan and a small enclosed patio to the right of the entrance with access to the side of the home via sliding glass doors. Beyond the entrance, there is a white brick mantle fireplace in the middle of the open living room with space for a dining room table in the large room. The kitchen is in the rear of the home and contains tile counter tops, hardwood floors, and has direct access to the gated pool and yard activities such as horseshoe and a golf putting range. There is an office to the right of the living room with built in shelves and wood flooring that is currently being used as a 2nd bedroom, which has it's own bathroom and the large master bedroom with master bath also has wood flooring and is located directly on the other side of the living room. Both bathrooms are nice in size and have tiled walk in showers and tile floors. A full studio is next to pool area with its own bathroom and is being used as a studio apartment. This private fenced home is made for entertaining guests with ultimate privacy. This is a fntastic three bedroom one bath home located in Victorville, Ca. This home has been recently upgraded. Some of the recent upgrades include new tile flooring, sliding glass door, paint, cabinets, granite countertops, and fixtures. Totaling 1,238 square feet this home is a must see. GREAT OPPORTUNITY!!! 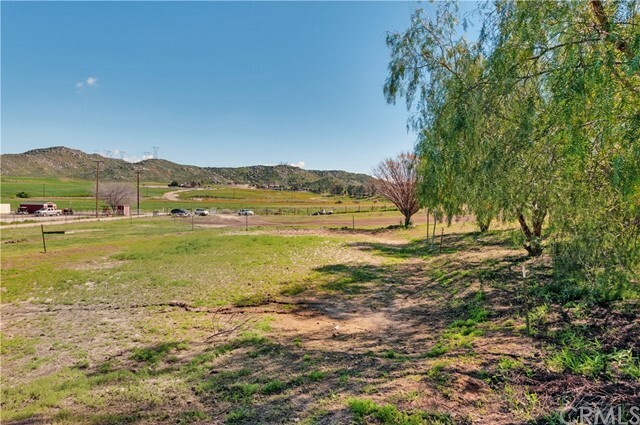 Lot in Perris area, perfect location to build your dream home!! Half an acre. Buyer to do own due diligence regarding permits. Manufactured home features 2 bedrooms and 1 baths. Lot features garage. Lot size is 7405 sqft. Value in land. Property SOLD IN AS IS condition. Great opportunity for an investor or first time buyer looking for a good price! 1974 manufactured home on its own land. Buyer and buyers agent to do their due diligence in regards to some unpermitted additions. The mobile home features 4 bedrooms, some which may be illegal additions. 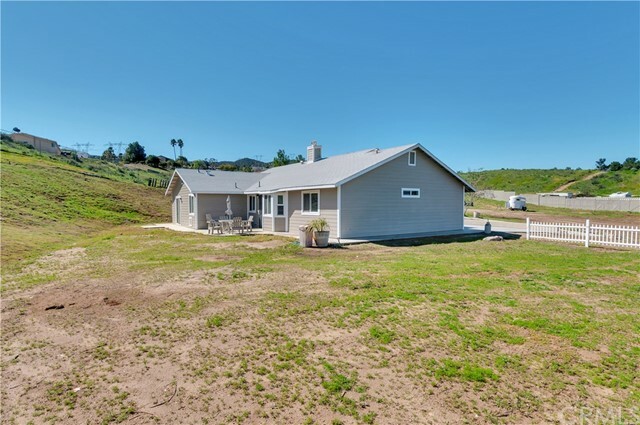 Rural yet very close to freeways, shopping and schools. Conveniently located yet has tons of privacy. Bring your buyers! Are you looking for a solid home with 360 degree views, with the serenity and peace that only the desert can bring? 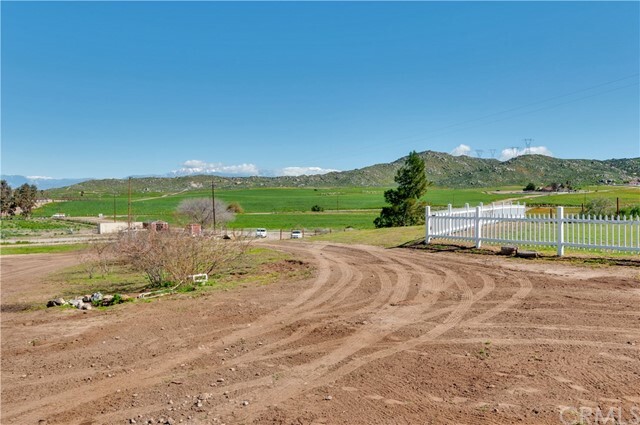 This is a fantastic turn key home with lots of potential and some great updated features on 5 acres in Wonder Valley! Solid property in good condition. Large open concept living room and kitchen area. Kitchen features an electric oven and dishwasher and fridge all in newer condition with Formica counter tops. Smooth ceilings throughout. Newer condition roof and upgraded 200 amp electrical panel. 3 of the acres are fenced with 2 vehicle access gates and 4 pedestrian access gates. 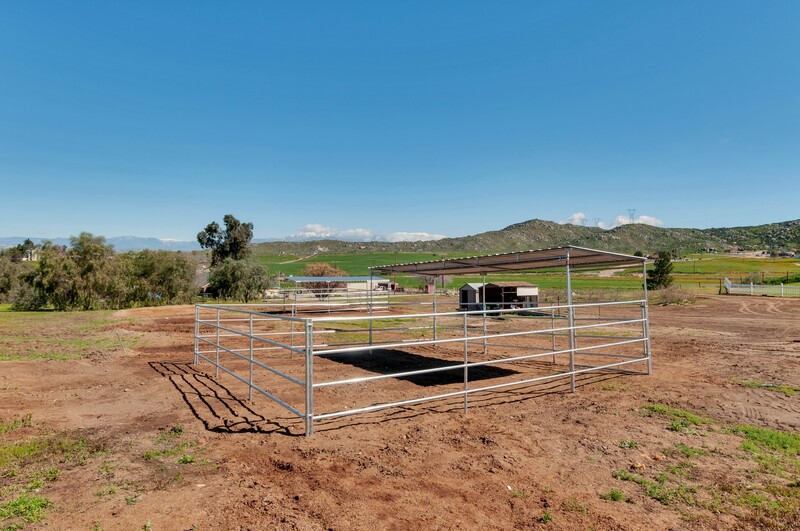 There is a 2500 gallon water storage tank, and also a brand new water pump and newer pump house (water is currently contracted at 2000 gallons to be delivered per month at $100). There are 2 additional storage sheds that come with the property. Concrete slab foundation throughout and with nice tile floors in the guest bedroom and also in the bathroom. 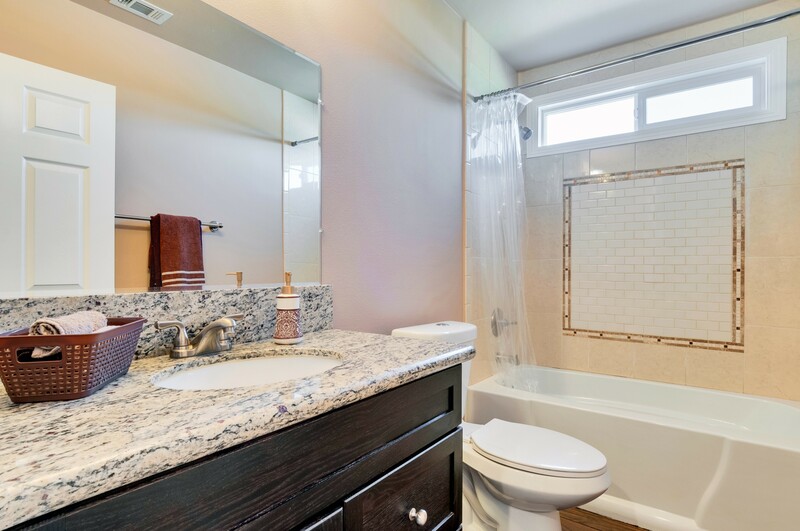 The bathroom features an updated vessel sink, updated faucet and large bath. There are washer and dryer hook ups outside. The house is all electric and current utility bill is around $100 per month. There is also a bonus office room. Extra tile comes with the home to complete your project. Also Owner can leave the hot tub (currently in need of some minor repairs). Yes this property can use some sprucing up but with the newer roof, 200 amp electrical panel and other features this is move in ready! Look no further! This clean double wide unit is located in an all age gated park in West Hemet. The home features a living room, family room, 2 bedrooms, 2 bathrooms and a sun room that could be used as a 3rd bedroom. Nice newer flooring and ceiling fans through out home. Kitchen recently remodeled, all new plumbing, new water heater, AC refurbished and new paint inside and out! Located near the club house and pool. Park is located near shopping, restaurants, and movie theater. Great family oriented park. Don't miss out, this one won't last! Arrange a showing today! Large, flat vacant lot ready to build in quiet, peaceful neighborhood. New subdivisions nearby and neighbors 2 houses down just built a new home a few years ago. Utility connections available at street. WELL PRICED HOME IN GATED SENIOR PARK!! This home has insulated roof, NEWER central air, washer and dryer, breakfast bar, partially fenced backyard, shed, range/oven, refrigerator, and much more. Some furniture will stay with home. This home is located in a senior 55+ community. Potential buyer shall be park approved prior to submitting offer to seller for acceptance. PRIDE OF OWNERSHIP property, centrally located in the City of San Bernardino!! POOL HOME! This beautifully upgraded home is located with quick and easy access to the 210 fwy, shopping centers and walking distance to the Elementary school. It boasts many high-end finishes including granite counters and traverse tile through out. The kitchen is a chef's dream, with all the storage, over-sized island, and don't forget the wine rack! Property features 3 bedrooms, 3 bathrooms inlcuding vaulted ceilings, It is perfect for entertaining with the cemented patio, RV parking and large gates to give vehicle access to the back yard. There is a custom, permitted, block wall for added privacy. The Solar Panels mean big savings for the selected tenant! HUGE home for rent in the newer area of Moreno Valley close to the Riverside Community College satellite off Laselle and Iris. This home has 1 bedroom and bathroom downstairs, a living room, a formal dining area, and family room as well as a fully upgraded and open kitchen with granite counters and newer cabinets. First floor has laminate flooring throughout and tile in the bathroom. Upstairs you find plush carpet throughout along with 4 bedrooms, the laundry room and a loft. The tandem parking 4-car garage is HUGE and can be used as additional entertainment space! Desirable and lovely 4 Bedroom, 2 1/2 Bathroom Colton beauty! Located in one of the most sought out areas. This is a spacious home with a full size formal dining and living room with a fireplace! With an attached 2 car garage, you will have plenty of room for your family's toys. Some of the homes features include, but are not limited to a master bedroom with an attached master bath, central heat and air, kitchen with a lot of storage and much more! Be advised for your convenience this home is under a make over, new paint, floor, doors and carpet currently under remodel (Photos are not current of home, photos before make over/ remodel). Centrally located to all nearby freeways, Metrolink access, commuting will be a breeze! Don't let this opportunity pass you! LARGE 2 Bedroom Home With 1 Full Bath and 1 Half Bath. New Carpet, Recently Painted, Granite Counters and Laminate Flooring In Kitchen And Dining Area. Large Patio Cover And Back Yard Perfect For Entertaining. Rent Is For Main Home, Backyard, And Carport Parking but DOES NOT Include Garage Use. Refrigerator Is Included In Rental, But Tenant Must Bring Own Gas Stove - THERE IS NO STOVE, But Gas Stove Hookups Are Available.